US owner Matson has announced that its subsidiary, Matson Logistics, will acquire Span Alaska Transportation for $197.6m. The transaction is expected to be finalized in the third quarter 2016. “The acquisition of Span Alaska underscores Matson’s long term commitment to Alaska and our mission to move freight better than anyone,” said Matt Cox, president and ceo of Matson. “This investment will significantly expand Matson Logistics’ platform into freight forwarding in Alaska, where Span Alaska’s market leading value-added LCL consolidation model and focus on customer service and reliability will further solidify Matson’s position as a critical freight transportation provider to Alaska. 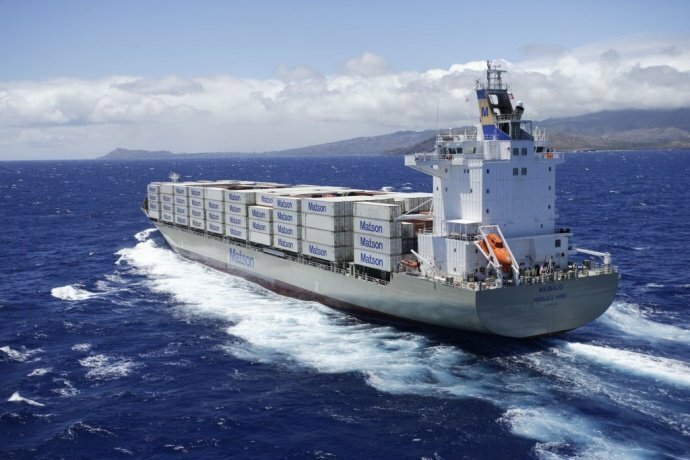 As a subsidiary of Matson Logistics, Span Alaska will continue to be led by its experienced management team and operate under the trusted Span Alaska banner, independent of Matson’s ocean transportation operations,” he added. Matson also announced that it has entered into a commitment letter under which it expects to issue $200m of 15-year senior unsecured notes at a fixed interest rate of 3.14 percent within the next 60 days. Proceeds of the notes are expected to be used to pay down the company’s revolving credit facility and for general corporate purposes. “After the closings of the Transaction and Notes, we expect our $400m revolving credit facility to have approximately $345m of unused capacity and our balance sheet leverage to remain below long-term targeted levels. This strong liquidity and balance sheet position, along with the significant cash flow generated by our core businesses, positions Matson well to fund our existing fleet renewal commitments, consider additional fleet investments, and return capital to shareholders,” said Joel Wine, Matson’s senior vice president and chief financial officer.